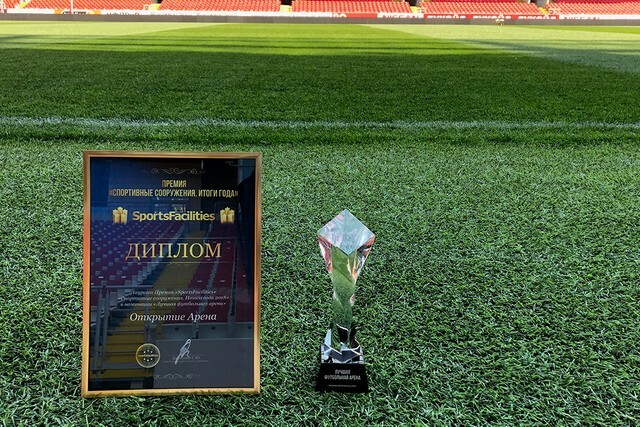 Spartak: Maksimenko (Selikhov, 46), Rasskazov, Kutepov (Bocchetti, 75), Dzhikiya, Ayrton (Kombarov, 46), Glushakov (c) (Zobnin, 46), Gyliev (Fernando, 46), Melgarejo (Lomovitski, 46), Hanni, Luiz Adriano (Tashaev, 46) , Ze Luis (Melkadze, 69). Maribor: Piric, Klinar (Milek, 72), Ivkovic, Suler (Rajcevic, 81), Viler, Dervisevic (Vrhovec, 67), Cretu (Pihler, 67), Hotic, Kramaric (Philipe Santos, 46), Mlakar (Zhugelzh, 67), Zahovic (Tavares, 67). Unused subs: Cotman, Uskokovic, Kolmanic, Vrsic. Goals: 1:0 Melgarejo (7, Ze Luis), 1:1 Dervisevic (15, penalty). Bookings: Kramaric (30), Gyliev (37), Mlakar (39), Hanni (62), Cretu (63), Kombarov (85). 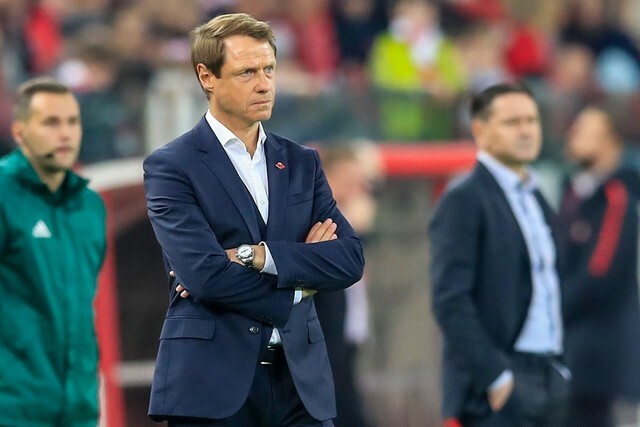 Spartak have played Maribor twice in 2017 Champions League group stages and both games ended in a 1-1 draw. But a lot has changed in our club since then, starting with the head coach all the way down to the players. Only three players who were involved against Maribor in 2017’s home game featured today: Ilya Kutepov, Ze Luis and Luiz Adriano. 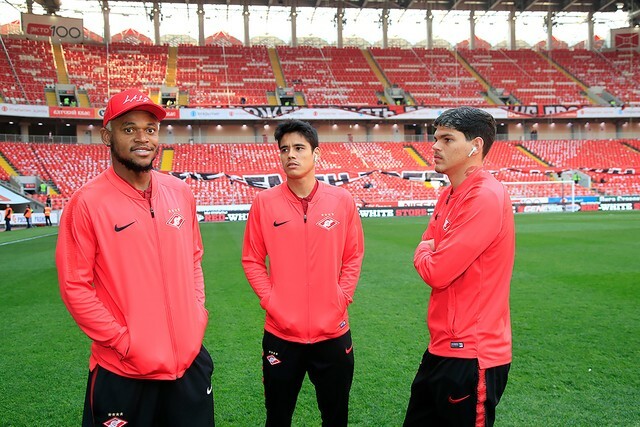 Others have either left the club (Tasci, Petkovic, Pasalic, Popov, Promes), or started the game on the bench (Selikhov, Kombarov, Fernando). We went ahead inside six minutes. Gyliev’s interception started the move, Ze Luis’ backheel found Melgarejo and Lorenzo’s low strike found the bottom corner. Maribor equalised just like they did a year-and-a-half ago. Dzhikiya brought down Zahovic inside the box and the referee pointed to the spot. Devrisevic’s powerful and precise strike was enough to restore the balance. Maksimenko went the right way, but couldn’t bail out his teammates on this occasion. We had a few sights of goal before the break, but were let down by the quality of the final pass in Maribor’s ⅓. The visitors created a chance of their own on the stroke of half-time, but failed to hit the target. 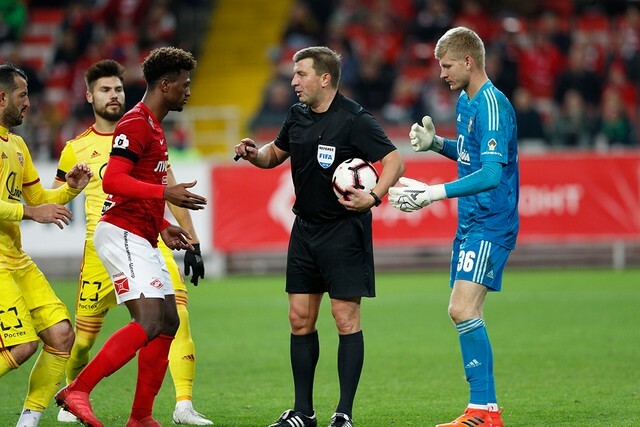 Oleg Kononov made six changes during the break. Selikhov, Kombarov, Fernando, Zobnin, Lomovitski and Tashaev were all introduced. Spartak tried to press actively after the restart (Maribor responded in kind). However, the intensive training schedule is taking its toll. Depsite the friendlies, Oleg Kononov’s side continues to train twice a day. Maribor looked in a better physical shape, which might have been down to the fact the Slovenian league restarts earlier than ours after the break. Maribor were close to going in front at the outset of the second half, but missed a great chance. On the hour mark the referee awarded a contentious foul against us, stopping Ze Luis in his tracks roughly 10 yards away from the goal and booking Hanni instead. 15 minutes from time Bocchetti entered the proceedings for the first time this year, replacing Kutepov at the heart of our defense. Fernando then went close with a fine free-kick effort, demonstrating his ability to take those once again. Hanni followed it up with an attempt of his own, hitting the post from outside the box. As the whistle went the game ended in a familiar fashion for both sides.